Every person has a unique variation of the human genome,peculiar characteristics of its genome. For centuries medicine has helped mankind to live a disease free life,the important impact of medicine on mankind should not be overlooked. How possible is it to practice and harness the potential of personalized medicine in Nigeria? Nigeria is the giant of Africa,with an estimated population of over 200 million people of different cultures,tribes and of course different genetic composition. 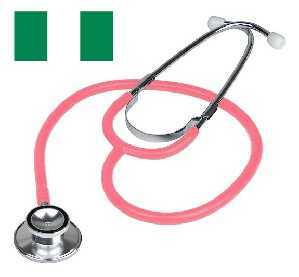 Nigeria has one of the poorest health systems in the world when compared to the advanced health care system of western countries,but with the mortality rate on the increase in Nigeria and the rate at which Nigerians are traveling overseas for health care treatment, shouldn't advances in health care and personalized medicine be given a try in Nigeria? Assuming it is eventually practiced in Nigeria,what is the probability that it would be successfullets analyze the scenario immediately. In a simplified language personalized medicine is a new health care innovation which treats individuals personally based on their medical health history. How Actually does Personalized Medicine work? Personalized medicine actually studies the patients genetic make up, ie the patients DNA,RNA or Protein. Advanced techniques like genome sequencing can reveal mutations in DNA that influence different diseases,also RNA-seq also helps to detect with which RNA molecules are involved with specific diseases,with this kind of personal patient information,some form of diseases can be prevented even before it starts to affect the health of the patient. It has been speculated that life threatening diseases like cardiovascular diseases, cancer etc can be prevented through personalized health care. It Helps to prevent future life threatening conditions For example, if it is found that a DNA mutation increases a person’s risk of developing Type 2 Diabetes,therefore treatment of patients will be based on the individual and their genome. Better and accurate diagnosis of diseases. Creating maximum efficacy with drug prescriptions. Studying of the DNA will be extremely useful for diseases like Alzheimer’s or cancers that are thought to be linked to certain mutations in our DNA. Is it possible to practice personalized medicine In Nigeria? Nigeria is still regarded as a third world country,the practice of personalized medicine faces a herculean task. First of all majority of Nigerians are poor and cannot even afford the basic healthcare talkless of the personalized health care. Also most of the doctors are ignorant when it comes to advanced medicine as they are still struggling with the normal theoretical gabbage in gabbage out medicine in Nigeria. Another factor is the mind set of 'If it ain't broken,don't fix it' ,most people,Nigerians inclusive believe that it is not necessary to start treatment for an illness that hasn't yet manifested,this has caused a great number of deaths worldwide. Terminal diseases like Cancer are treatable if discovered on time,also Nigeria lacks the general infrastructure to practice personalized medicine. What will be the advantage of practicing personalized medicine in Nigeria? Medical tourism will increase tremendously,many countries,especially citizens of some African countries and patients worldwide will come to Nigeria for personalized health care and thus,will generate income for the economy. It will improve the average life expectancy rate of average Nigerians and it will be a wake up call for health practitioners in Nigeria,it will boost the health sector in Nigeria. How To Implement Personalized Medicine In Nigeria? Sadly the Government doesn't seem to see the benefit of practicing personalized medicine here in Nigeria,but truth be told,personalized medicine in Nigeria can put Nigeria on the map globally and will serve as a performance booster to its health care institutions and facilities that are presently in a coma. Personalized medicine can only be possible in Nigeria, if the Feaderal Government of Nigeria see's it potential and decides to invest on it,apart from that it will be absolutely impossible to practice and implement it in Nigeria.